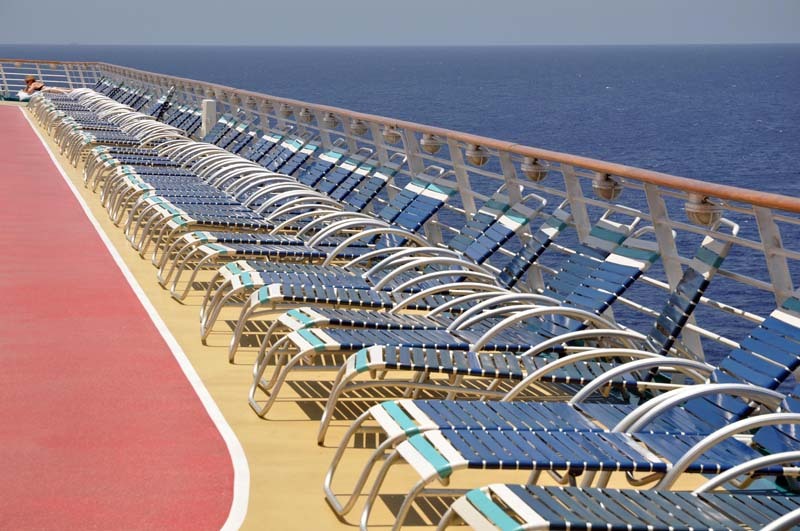 Carnival Spirit - Sydney to New Caledoinia, August 2014. Queen Victoria - Brisbane to Sydney, March 2014. Rhapsody of the Seas (Pt I) - Sydney to Cairns and return, November 2013. Rhapsody of the Seas (Pt II) - Ports of Call, November 2013. Celebrity Solstice (Pt I) - New Zealand and Australia, March 2013. Celebrity Solstice (Pt II) - Ports of Call, March 2013. Seabourn Odyssey - Tour while in port, Brisbane, March 2012. Voyager of the Seas - Singapore to Fremantle, Oct/Nov 2012. Pacific Dawn refurbishment - Brisbane Portside, June 2012. Dawn Princess - Sydney to Brisbane cruise, May 2012. Queen Elizabeth - Tour while in port, Brisbane, March 2012. Pacific Dawn - Brisbane to South Pacific and return, Feb 2012. Lady Brisbane - Gold Coast to Brisbane day cruise, Jan 2012. Radiance of the Seas - Honolulu to Sydney, Sept/Oct 2011. Lady Brisbane - Brisbane to Gold Coast day cruise, May 2011. (This day cruise got me thinking about cruising on a bigger scale. You could say it was the cruise that 'started it all'). Food, glorious food...cruising and your waistline! I would like to know if stateroom bathrooms have hair dryers? Brisbane/SE Qld - see, eat and sleep suggestions. Giulio Saggin and Nathalia Rayfield. Travel theme. Powered by Blogger.